Next to Indonesia's outstanding natural splendors and fascinating cultural attractions, the wonders of Indonesia also lie in the abundant and diverse culinary treasures that have clearly also attracted worldwide attention. After its previous success in 2011, Rendang, the scrumptious meat dish from West Sumatra was again crowned the Best Food in CNN's World's 50 Best Foods recently published on 12th July 2017. This time, second to Rendang on the top was Nasi Goreng , Indonesia's renowned and beloved Fried Rice, confirming Indonesia's reign over the world's best loved cuisines. 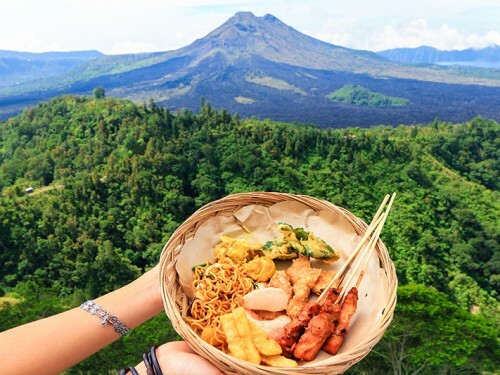 "Rendang, and Nasi Goreng are among five Indonesian distinct Foods that are being promoted by the Ministry of Tourism as culinary icons of Indonesia. Others being pushed are Soto, Satay, and Gado-gado. This achievement truly boosts Indonesia's culinary brand and with it Indonesia's Tourism in general" said Minister of Tourism, Arief Yahya, commenting on this proud achievement. Rendang hails from the highlands of West Sumatra, while Nasi Goreng is a delicious invention that somehow became popular across the Indonesian islands. The list was compiled by CNN following a poll on popular social media Facebook, and 35,000 votes, when Rendang and Nasi Goreng came on the top two of the list. Meanwhile, another Indonesian culinary icon, Satay or Meat Skewers also made it to the list in 14th place. "Beef is slowly simmered with coconut milk and a mixture of lemongrass, galangal, garlic, turmeric, ginger and chilies, then left to stew for a few hours to create this dish of tender, flavorful bovine goodness. The Indonesian dish is often served at ceremonial occasions and to honored guests. It's not only delicious but also comes with a simple recipe", such is the illustration given by CNN as quoted from the article. Reader Kamal F Chaniago showed great foresight when he wrote, "Rendang is the best." A clear winner with a loyal following, this beefy dish can now rightfully claim the title of "World's Most Delicious Food." While another comment given by Isabela Desita said: "Rendang should be the first! It's really nice, you should try it!" 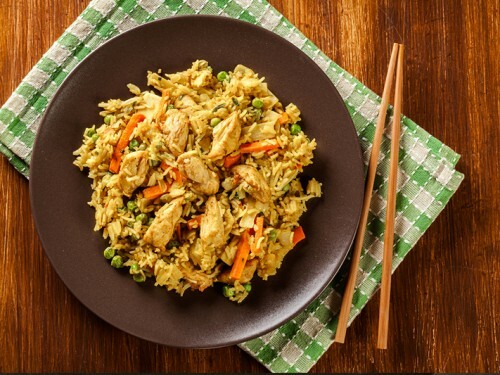 Having received more than 10 times the votes compared to its Thai counterpart, Nasi Goreng –the Indonesian Fried Rice has this year propelled from the non-runner up to runner up. "The wonder of combining rice with egg, chicken and prawns strikes again." wrote the article. One reader, commented "I like Rendang and Nasi Goreng, two of most popular foods in Indonesia! ", and apparently thousands of voters agreed. Minister Arief Yahya further mentioned that Indonesia's culinary presentations have become an important part of Indonesia's Tourism. "The more our food is extensively known in the world, the more people will be drawn to come and visit our country," said the Minister. Moreover, Minister Arief Yahya stated that the Ministry is currently boosting our Culinary Tourism by cooperating with all stakeholders including academics and the media. The Minister will also support the branding of Indonesian Restaurants overseas. 10 Indonesian restaurants in a number of countries will be chosen to represent and promote Indonesia's Tourism. This will be done according to target markets, such as for instance in France, Indonesian restaurants will be designated as centers of Indonesia's Culinary Promotion. Meanwhile, Deputy for Tourism Marketing Development of the Ministry of Tourism, Esthy Reko Astuti was also pleased to receive the good news and commented that food will always play an important part in getting to the heart of international tourists. "Indonesia has over 5,350 authentic traditional recipes that are our recognized national heritage. Not only are these exceptionally delicious, but every dish has a rich and long history. Our culinary treasures are colorful and feature strong taste, using a rich variety of ingredients. We are very proud to have Rendang and Nasi Goreng recognized among the Best Food in the World " said Esthy Reko Astuti. #Keren. Juara 1 dan 2 makanan ter-enak di dunia diraih Indonesia : Rendang dan Nasi Goreng. Sate nomor14.